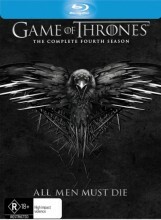 On amazing high definition Blu Ray comes Game Of Thrones season 4 Blu Ray from DVDLand. There's nothing better than Game Of Thrones on Blu Ray from DVDLand. The season 4 Blu Ray is packed with exclusive new bonus content including roundtable discussions, on-set interviews, audio commentaries, and brand new animated histories giving fans hours of extensive, never-before-seen material. It's easy to see why this show is the most popular show in history. 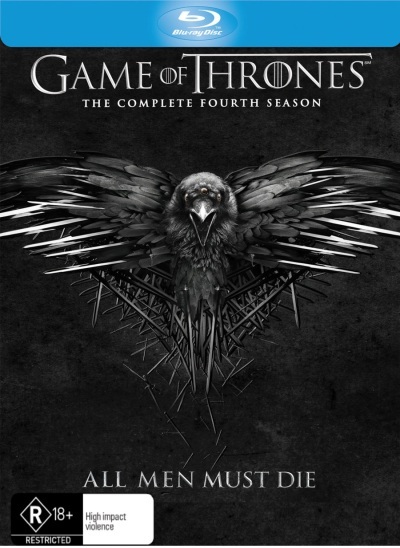 Click the button below to add the GAME OF THRONES - COMPLETE SEASON 4 (BLU RAY) to your wish list.